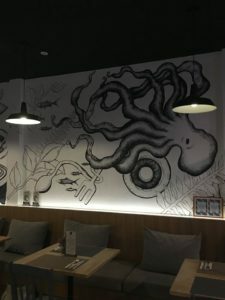 A hip little enclave in the heart of Phuket Old Town, Surf & Turf by Soul Kitchen serves up an enticing variety of dishes which are artfully presented. 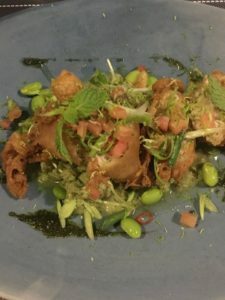 The restaurant is the brainchild of a Thai architect andGerman chef a , and together their vision has brought about a creative, unique dining experience to the island. The first thing you notice upon entering Surf & Turf by Soul Kitchen is how adorable the restaurant is. The interior of this place is quite honestly an Instagram dream. 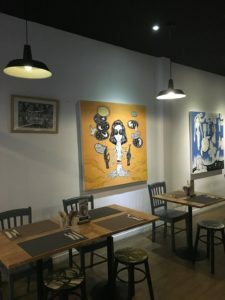 Original art drawn by co-owner Pang covers the walls, chill tempo music compiles the soundtrack, and comfy cushions accompany the tables. The open air bistro-style kitchen is a welcome touch as it adds a great vantage point to sit and watch Chef Tom work his magic. Frozen cucumber & mint soup with tempura fish and fine chopped chili came recommended as a starter and arrive straight away. I would like to give full props for the presentation of every menu item at Surf & Turf by Soul Kitchen, however this dish was truly the grand surprise. Tender white tempura battered fish set atop a gazpacho-like frozen cucumber and the mint soup was a mouthful of zest and spice. The chili lingered but accompanied the dish perfectly. The trick to this starter is to eat if before the soup melts in order to appreciate the contrasting texture and flavours. Mains consisted of a colourful plate of sea bass and Japanese soy beans with caramelized pumpkin. 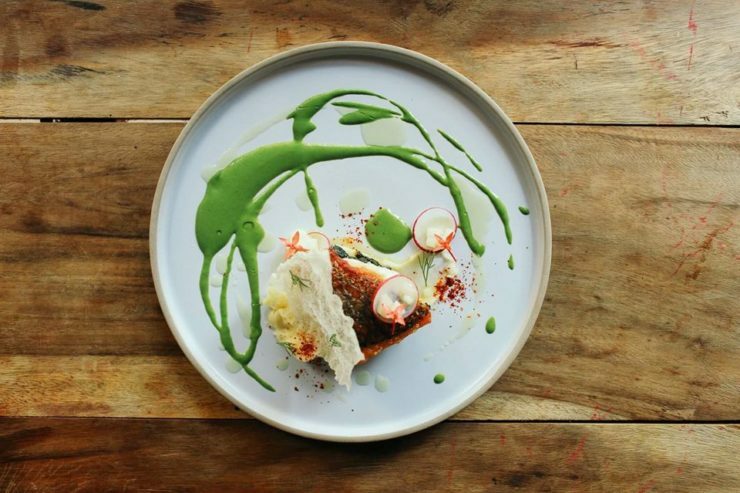 This dish is fresh and light, and the caramelized pumpkin complimented the crispy sea bass perfectly. Next up was the fresh puff and salad with grilled beef cube with homemade tartar sauce. 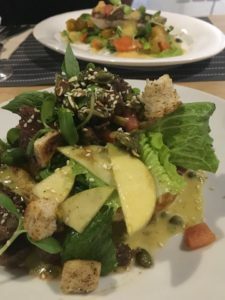 Essentially, this dish serves as a pastry basket with a plentiful salad of local greens, apple and tender beef cubes topped with pumpkin and sesame seeds inside. The salad was fresh and light, and the sour homemade tartar sauce added an extra kick. The pastry was prepared perfectly and added just enough fluffy crunch. 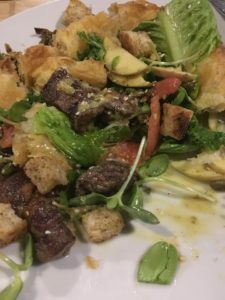 I love a good salad, and I intend to go back and have this dish again and again. 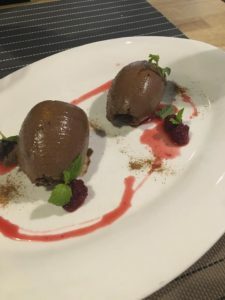 We chose one of Surf & Turf by Soul Kitchen’s signature desserts which is a rich, decadent chocolate mousse served with raspberries. The mousse was creamy, and the raspberries just the right amount of sour. The dessert was really lovely, and I think it’s important to add in that Chef Tom creates this luscious masterpiece with a whisk. This dessert truly is a delicious masterpiece slowly made by hand. 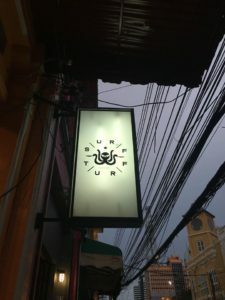 Surf & Turf by Soul Kitchen has not even been on Phuket’s trendy dining scene for a year, but the restaurant is making culinary waves in Phuket Old Town. 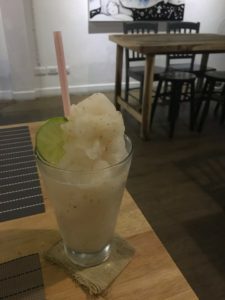 The restaurant features a full drink menu and a variety of interesting menu choices. Prices start in the 250 baht range and are completely affordable for the quality of food that is on the plates. 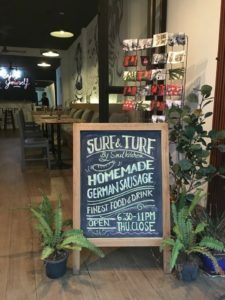 The restaurant also prepares made-to-order fresh German sausages which are perfect for take-away. Single servings start at 60 baht per sausage, and there is no minimum order. You can choose from currywurst, bratwurst or traditional pork German sausage. 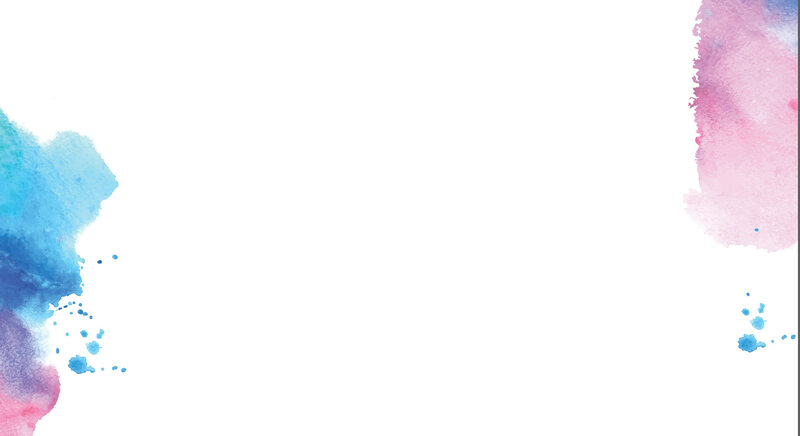 Check in on Facebook while dining for a 5% discount on your meal.